Naturally Resilient Communities is a guidebook and interactive tool featuring communities around the US that rely on green infrastructure solutions to protect themselves against climate change related extreme weather events. 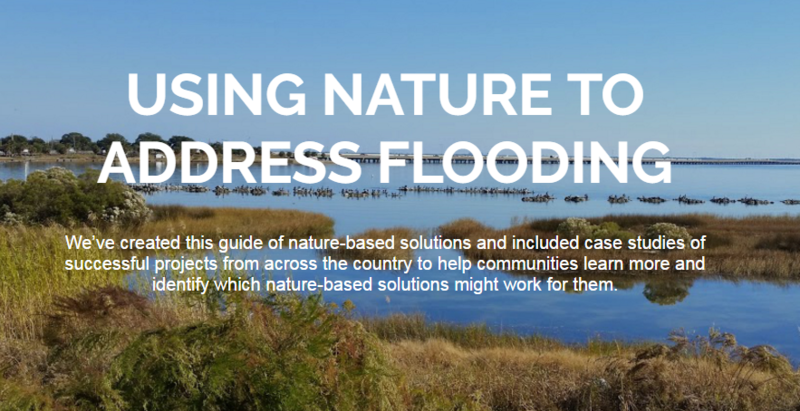 The guidebook includes over 30 case studies from communities of various sizes that are facing issues from coastal erosion to stormwater flooding. The interactive tool helps users tailor their search results by allowing them to customize their search based on the hazard(s) facing their community, region, community type (urban, suburban, or rural), scale, and cost. The goal of the guidebook is to feature successful projects to help communities learn more and identify which green infrastructure solutions might work for them. The Christ Hospital in Cincinnati, Ohio has integrated multiple green roofs in to its complex. The hospital includes green roofs spaces designed as healing gardens and relaxation areas for patients and staff. There is also a large green roof with views of the downtown skyline and rentable space that can be used for meetings and special events. Since its completion the rental space has hosted an average of ten events per week, which will pay for the cost of all the green roofs in 2 years and continue to pay maintenance costs in perpetuity.